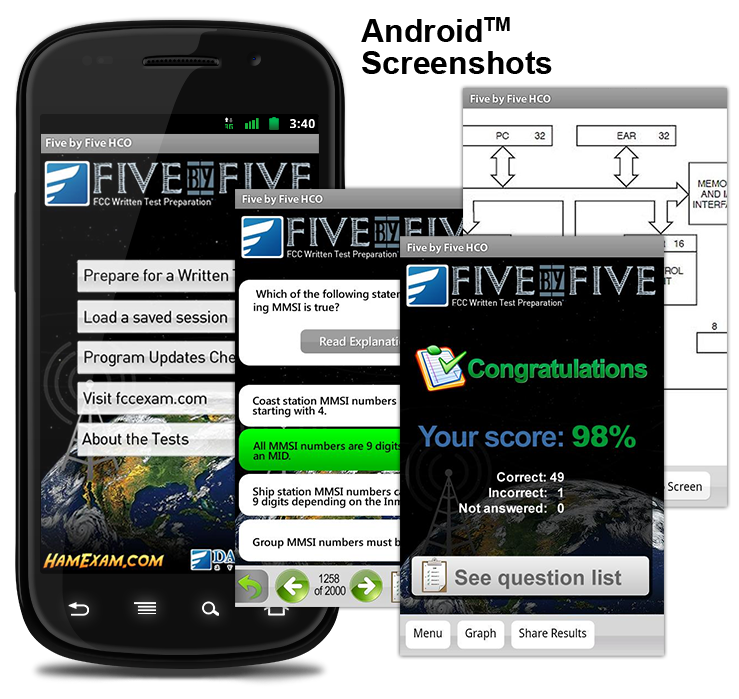 In addition to our PC and MP3 Audio offerings, you can now study for your FCC Amateur and/or Commercial tests using our Five by Five app for Android™. The apps are available via the Android Market. Just click on one of the links above to learn more and/or to purchase. You can be studying on you Android device in no time! 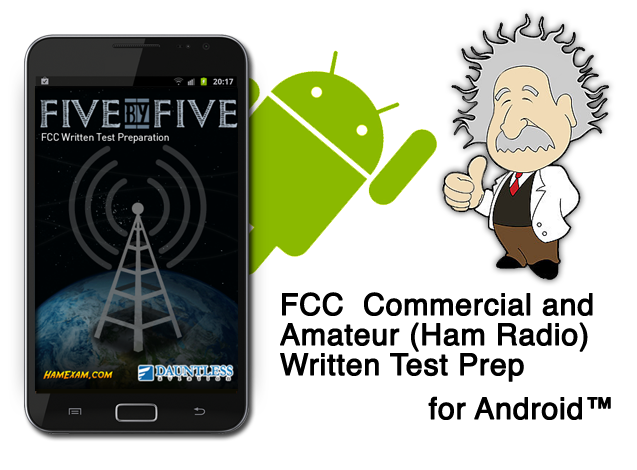 These Android apps are a great way to prepare for your FCC written test(s) while on the road. We think you'll come to appreciate the effort we put into making them easy to use. We realize that many of you would like to use the PC software while at home and the Android software on the road. Unfortunately, the Android Market policy makes it prohibitive to bundle the two into one purchase, so please accept our apologies as we ask for your understanding that if you'd like both that you'll have go purchase them seperately.